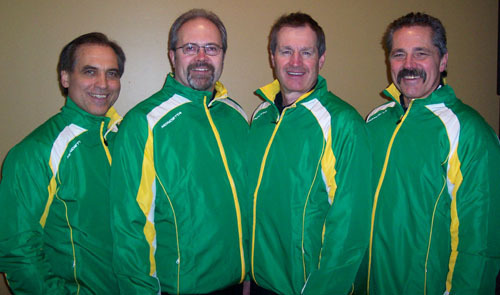 Eugene and Dave have curled together for four years and Kevin and Verne joined the team this curling season of 2007-08. 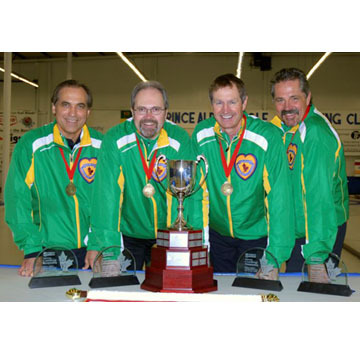 Winning the 2008 Provincial Senior Mens title in Estevan, they earned the right to represent the Province at the National Championship in Prince Albert. The competition in Prince Albert was intense with eight or nine of their thirteen games being decided by last rock. In the National final, Eugene had to draw through a port to the edge of the four foot to defeat Russ Howard and earn their place on the SCA Legends Wall of Fame. 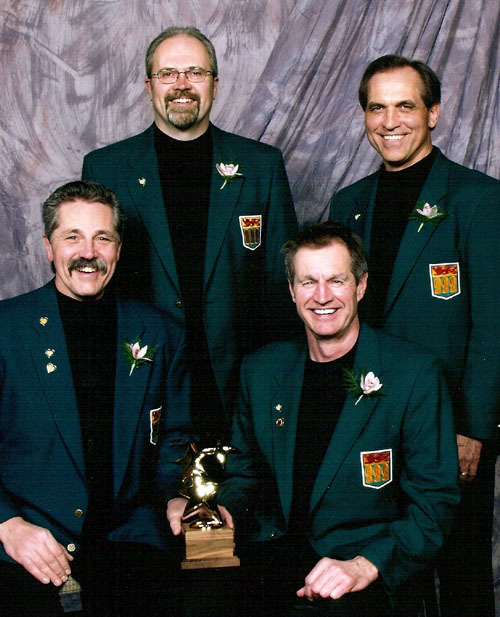 The Eugene Hritzuk Senior Men’s Team – 2008 National Senior Men’s Curling Champions. The 2008 Canadian Senior Men’s Champions, the Eugene Hritzuk Team, captured the Gold medal going undefeated at the 2009 World Senior Championships in Dunedin, New Zealand beating the USA, 4-3 in the Championship Final. Inducted into the Saskatchewan Sports Hall of Fame in 2015. Click to view.